British designer Sharon Marston is best-known for her handcrafted lighting. In the late 1990s and the early 2000s her small collection of handbags bridged the divide between fashion and interior design. Marston's handbags were made from industrial-strength material such as nylon, which was dyed and shaped into striking sculptural forms. 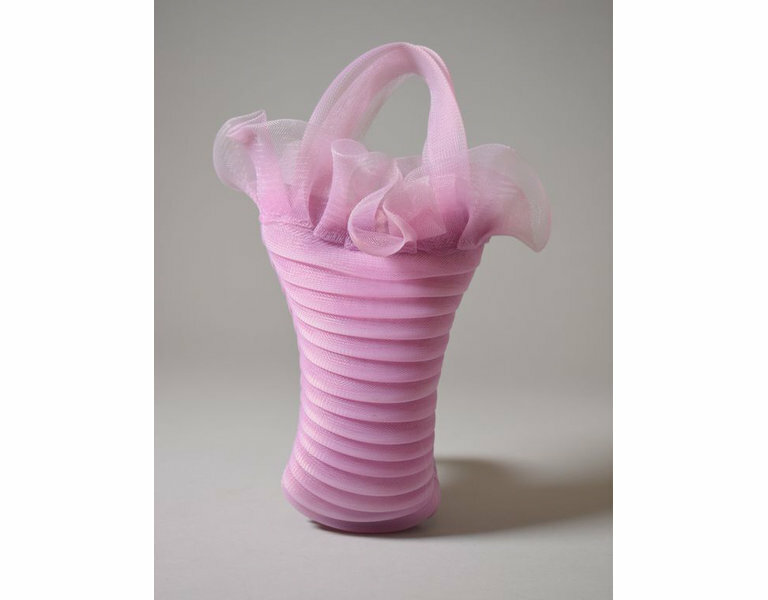 This bag's soft lilac colour and loosely woven structure result in design that appears delicate but is deceptively robust thanks to its durable material. Since Marston created this handbag range in 1999, her lighting designs have become the focus of her work. She has created large-scale lighting installations for major international hotel chains, private residences and a special commission for the V&A's 2004 lighting exhibition 'Brilliant'. 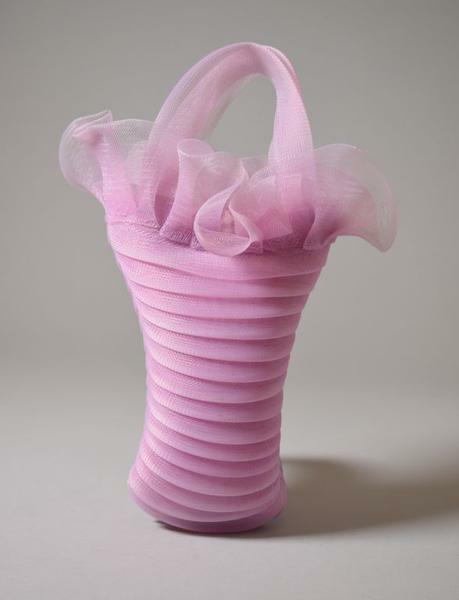 Basket-shaped handbag of lilac-colured woven nylon with pleated body and ruffles around the opening, snap closure and satin lining.